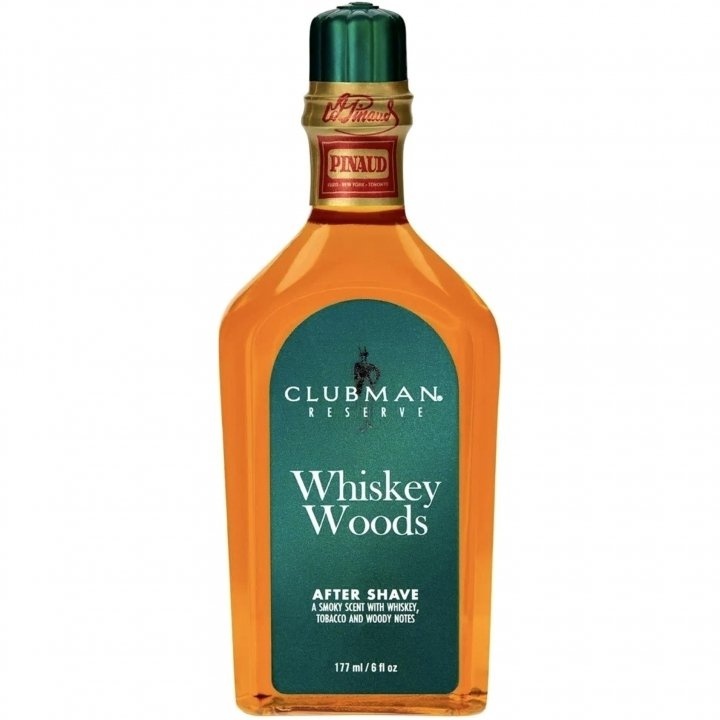 Whiskey Woods is a perfume by Clubman / Edouard Pinaud for men and was released in 2017. The scent is spicy-sweet. It is still in production. I don't want to write long novels about this Pinaud. I'm sure a short essay will do. Pinaud - the name says it all. For some time now, shaving men have been associated with euphony and "feeling good" after shaving. He's been on my shaving schedule for at least decades. And here as "must have"! Because this fragrance with the beautiful name "Whiskey Woods" is an aftershave or mother tongue correct aftershave. By the way, I bought both relatively new Pinauds for myself. So also the Brandy Spice. Since the announcement in the subscribed newsletter of Clubman/Pinaud both AS were on my wish list. To order this in the USA nevertheless quite inexpensive AS is not worthwhile simply any more nowadays. The postage, the often long transport time and if possible still the tiresome way to the customs office - I prefer to leave that. Here in the country with a shave dealer ordered, costs per bottle around 13€ for at least 177ml content! They are delivered in the now obligatory slightly square plastic bottle - I am allowed to write. That's how almost all Pinauds are packaged. It is also practical, not only for the transport route. In the course of time I have already knocked over flacons, sometimes slipped a bit or during other actions in the bathroom like tidying up: "bums" landed with a bang the flacon on the tiles to damage them or even burst them themselves. So also when falling into the sink, how fast is the good ceramic glaze there and "mistress" gives me another solid "after shave"... the beautiful bottle breaks, oh somebody - that can't happen with the Pinaud bottles. In addition, they are handy and lightweight, as they can be held in the hand as a bulk bottle. So if you value beautiful flacons, you're wrong here. It's all about practicing. I like the scent of Whiskey Woods more than Brandy Spice. The latter actually has a typical brandy smell in my nose for a long time. With "Whiskey Woods" I feel the scent more sweet and harmonious. Ehr with light sweetness and spicy round. Yes, a light, very soft whiskey note is to be guessed but Woods? I think it refers here to the years of maturation of real whiskey in wooden barrels. At least I didn't smell any wood. Also the otherwise always very entertaining durability of the Pinauds appeared to me longer with Whiskey Woods. But that's no way to win a race. After 2 hours only perceptible by direct sniffing on the skin. I hope that both, as usual with Pinaud, have an excellent care property without shaving fire and certainly do not need to be mentioned. Conclusion: The clear favourite for me is "Whiskey Woods". In the future it will have a regular place in my Pinaud collection. Please, gentlemen! Don't let that deter you from buying the other scent. This judgment, my "judgment", is purely subjective. Everyone feels scents differently! Fragrances behave differently on every skin. Those of you who prefer a good brandy are well served with "Brandy/Spice". The easiest thing in my eyes is: Buy both - you can't do anything wrong. Write the first Review for Whiskey Woods!